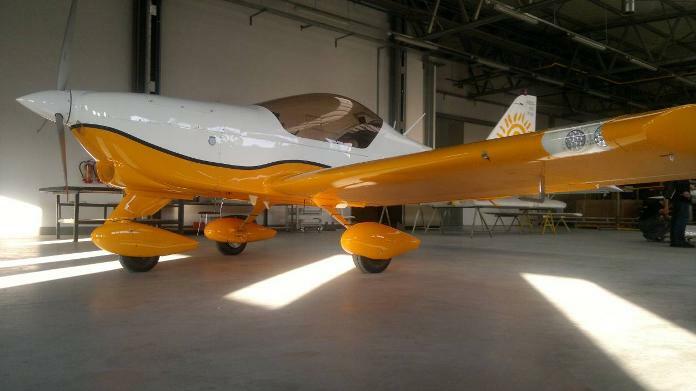 S2T Aero Ltd. are pleased to announce that the next development of the successful AERO AT-3 VLA all metal trainer/tourer is now ready to be launched onto the European market. 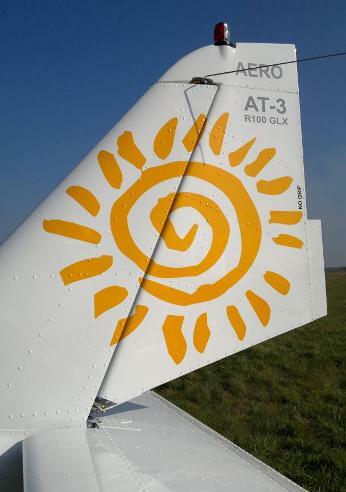 The AERO AT-3 R100 GLX represents the new “top of the range” for the EASA CS-VLA certified AT-3 series, produced by AERO AT Sp. z o.o. of Poland. 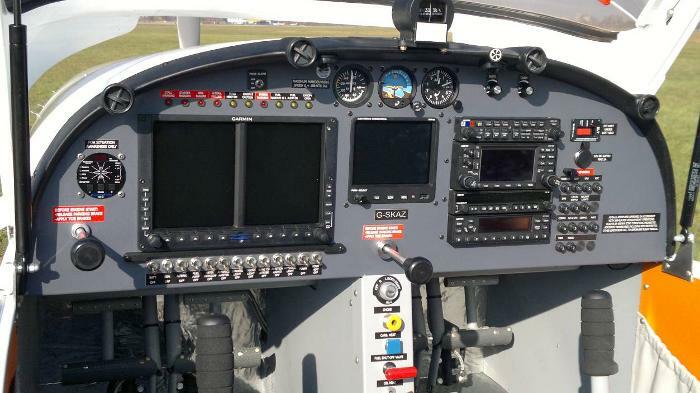 The new model has a certified Garmin glass cockpit, Night VFR approval and a number of other new features not previously available for the AT-3. The glass cockpit of the Aero AT-3 R100 GLX is clearly and logically laid out with everything within easy reach of the pilot. Lighted gauges and instrument panel are part of the VFR Night option. Dual throttles are standard, as with previous versions of the Aero AT-3 R100 series. Prices for the AT-3 R100 GLX begin from approx EUR 135,000 ex-factory, excl. VAT, depending on the customer’s chosen specification. 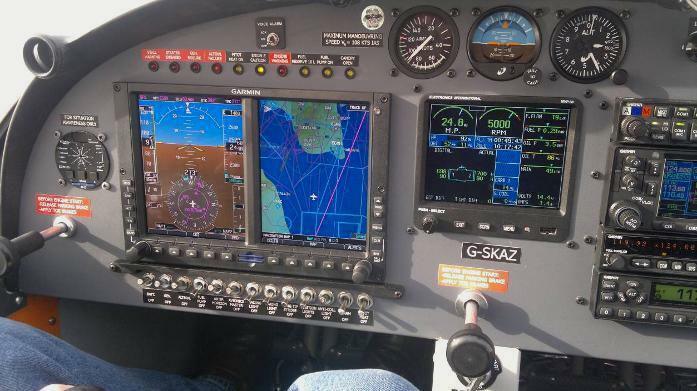 The first example of the Aero AT-3 R100 GLX was recently delivered to a private customer based near London, U.K.
Like the rest of the Aero AT series, which also includes the AT-4 LSA (marketed in the USA as the Gobosh G700), the Aero AT-3 R100 is the only metal aircraft in either the certified VLA or the LSA category to employ the same construction methods as conventional larger GA aircraft, namely solid rivets (not pop rivets!) 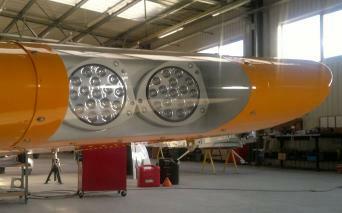 on all structural parts and generally stronger grade skins and profiles. This gives the aircraft a robustness and durability second to none in its class, making it ideal for club, group and training use and ensuring longevity. The AT-3 also has the most stable flight characteristics and is generally recognised to fly and feel like a bigger aircraft, with much less of the twitchiness and over sensitivity associated with similar aircraft. With a cruise of 108 kts and Va and Vno both of 112 kts, most operations with the AT-3 take place within the “green range” on the ASI. Most importantly, the Aero AT-3 R100 has been fully certified in the EASA CS-VLA category since January 2005, meaning that the aircraft is operated on a full C of A and can be used for full PPL training, hire, charter and commercial “for profit” operations incl. Night VFR RIGHT NOW! No need to wait, as with some other types, for a restricted C of A and the uncertainty that brings with it.